The Cookies Resort Koh Chang is on White Sand Beach in the north of the Island. 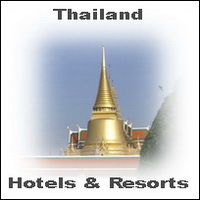 The good service and the friendly rooms and suites are a popular holiday location for Thailand tourists. Cookies Hotel Koh Chang has a swimming pool with sea view and the rooms of Cookies are appointed with TV, king size bed and balcony. Cookies Koh Chang is rightly a leading middle class accommodation in White Sands village. The direct access to the beach and the great view to the sunset make the Cookies Hotel to a popular holiday hotel. The family rooms are perfect for families with kids who like to enjoy their vacations in a tropical atmosphere in Thailand. This Hotel is direct in White Sand Beach which allows shopping tours and dinner in one of the widespread restaurants in Ko Chang’s main tourist village. 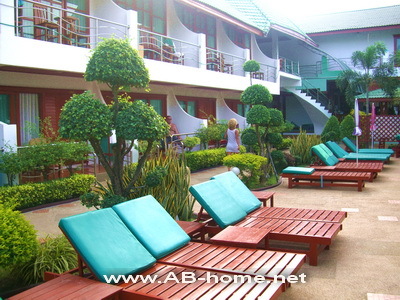 Booking and Reservations for many Koh Chang Resorts you can make here.